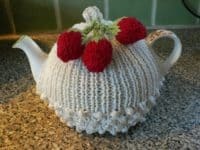 It’s not every day now that you find someone else who loves a good cup of tea so much that they’ll actually take the time to full a cute teapot with boiling water to steep and serve their tea the old fashioned way, but we can sure guarantee that a few of us are stuck in our traditional tea-loving ways! 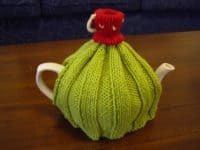 Any good tea addict knows, however, that if you’re going to serve tea in an old fashioned pot, you’ll need a good tea cozy to go along with it! 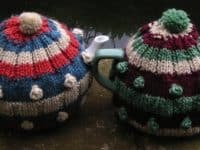 Making yourself an awesome set of tea cozies is an especially fun goal if you’re also a knitter! 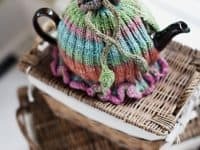 Check out these 15 fantastic tea cozy knitting patterns that will help you make great tea-lover’s gifts for your friends, your family, or yourself. 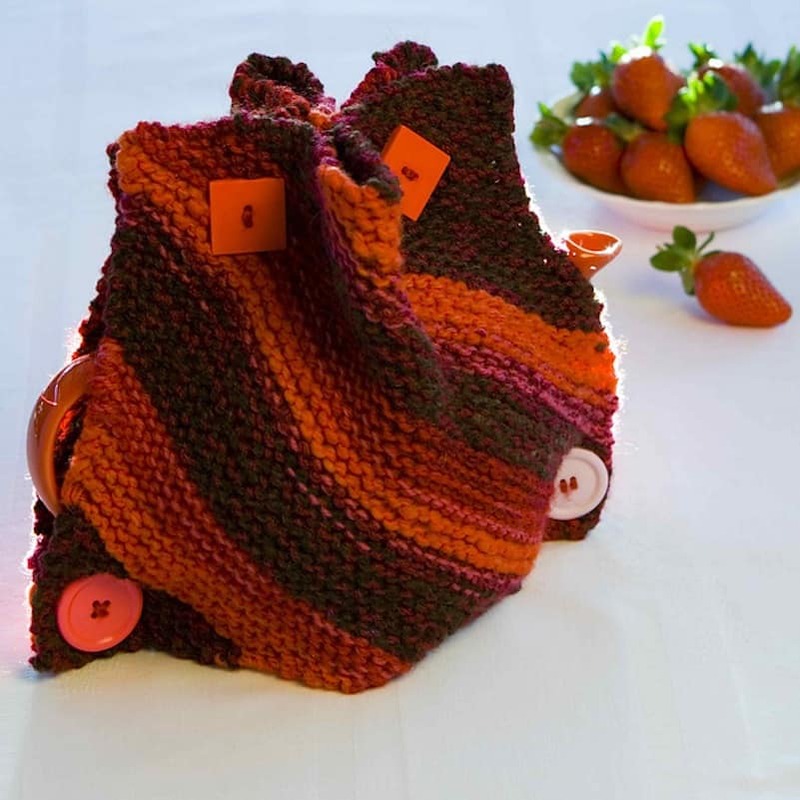 Have you been looking for a great new small project to practice your colour working with? Then we think you might find this snowflake pattern from Victoria Magnus quite interesting! 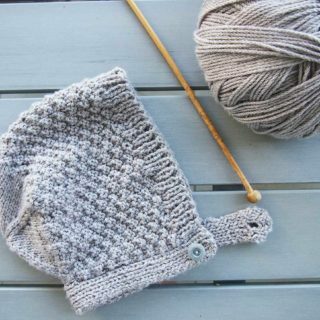 It helps you follow a classic chart that you’ll see many places, but you’ll also learn how to double stitch along your cast off edge along the top with a new colour and also create a small dual coloured accent pom pom! Have you been itching to learn a new stitch but you’ve been having trouble deciding on a pattern that showcases things properly? 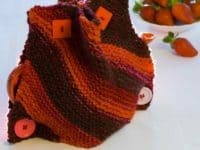 Then perhaps it’s time for you to learn seed stitch! 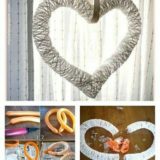 It’s not complicated to do but the effects are beautiful when you’re all finished. 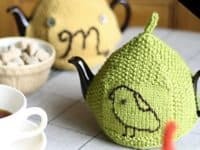 This little bird pattern by Churchmouse Yarns and Teas lets you practice both your seed stitch and your simple embroidery skills all at once! 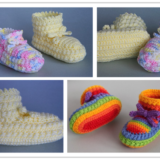 Have you been looking for a pattern that has a little bit of everything involved? 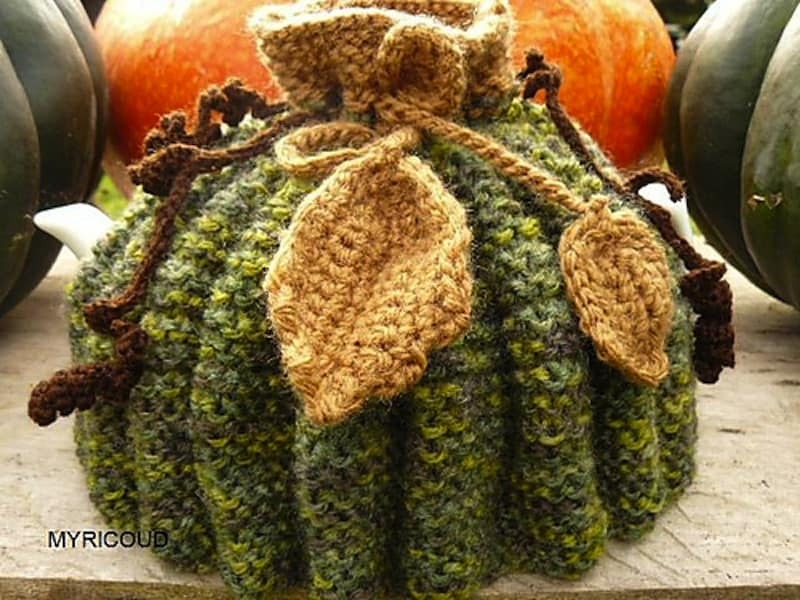 Then check out the pattern for this awesome woodland looking leaf and vine cozy! 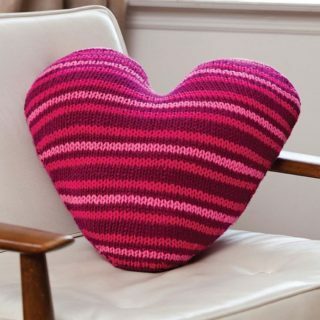 We love that it has both texture and structure and it’s a great way to practice creating more unique shapes than your average knitting project. 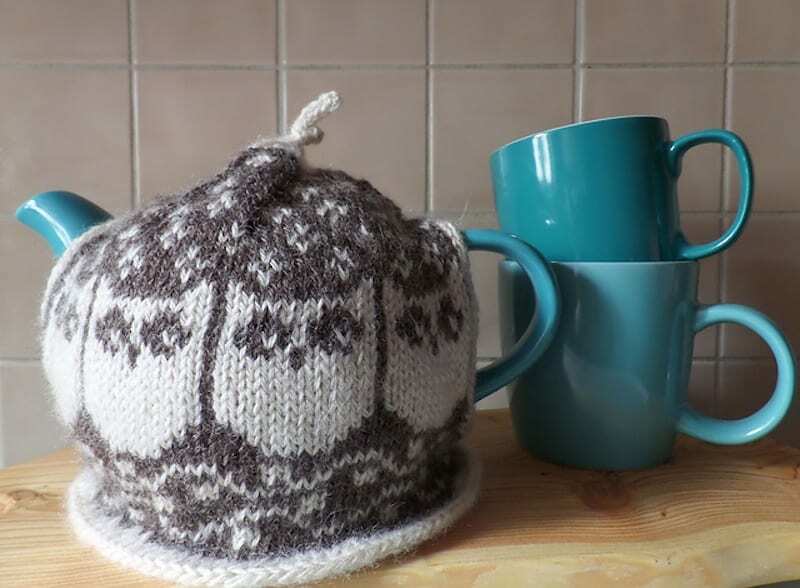 The aptly named tea cosy walks you through the process. 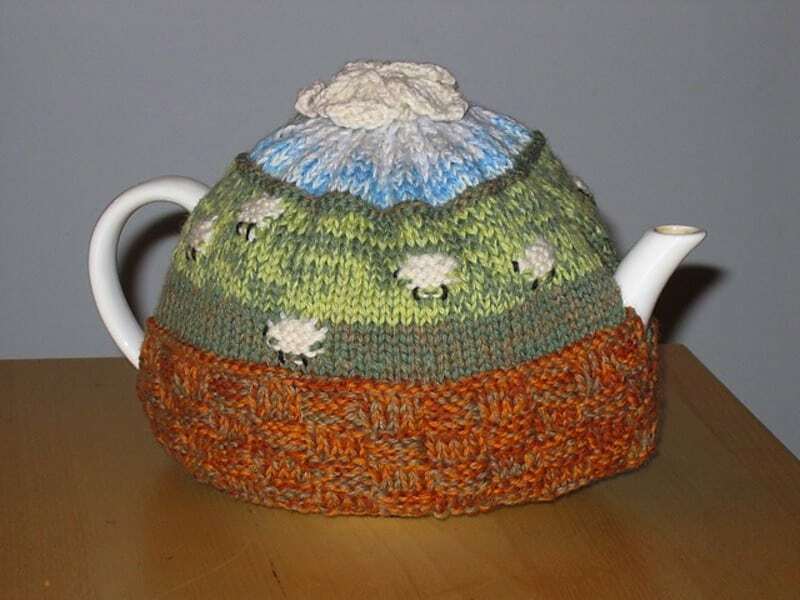 Have your very favourite kinds of tea cozies always been the old fashioned farm themed ones that depict natural landscape scenes? 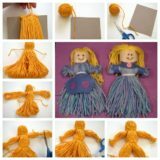 Then take that as an opportunity to both make yourself something you love and practices your colour working skills! We adore the simple countryside scene that Claudia Lowe created featuring a little flock of sheep. 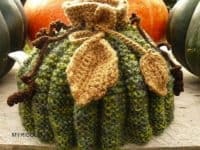 Did you love the idea of knitting structured pieces when we talked about it above but you set your sights higher in terms of shape than the simple leaves and vines we outlined there? Then check out this stunning strawberry themed tea cozy complete with actual yarn strawberries dotted across the top! 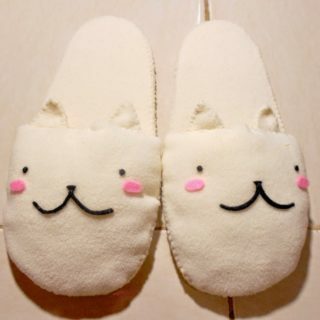 Find out how those and the beautiful cozy beneath them are done on Patti di Cagli! 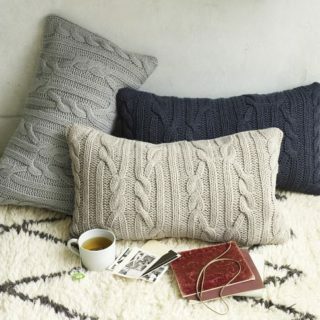 Have you always loved older patterns that feature fun bobbles and knots throughout the surface of the knitting to liven things up a little bit? 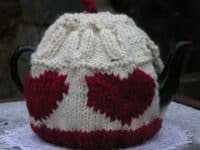 Well, between that and the fun colour striping, we have a feeling you’ll very much enjoy knitting this awesome pom pom topped cozy from Monica Russel! 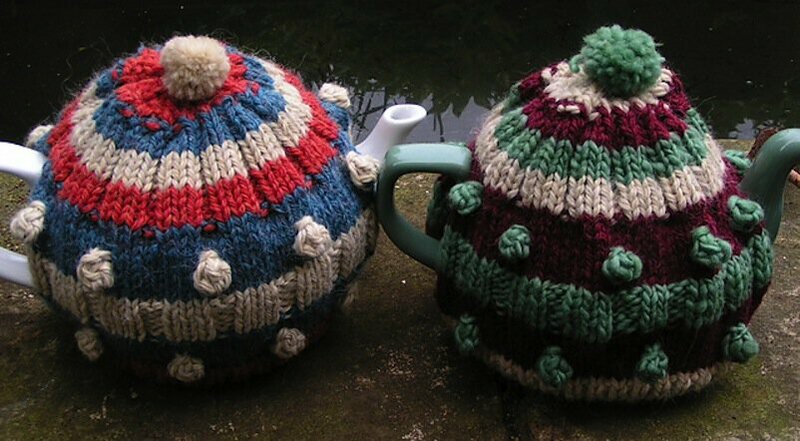 We could knit ourselves a thousand of these in all different colours and still not be bored. 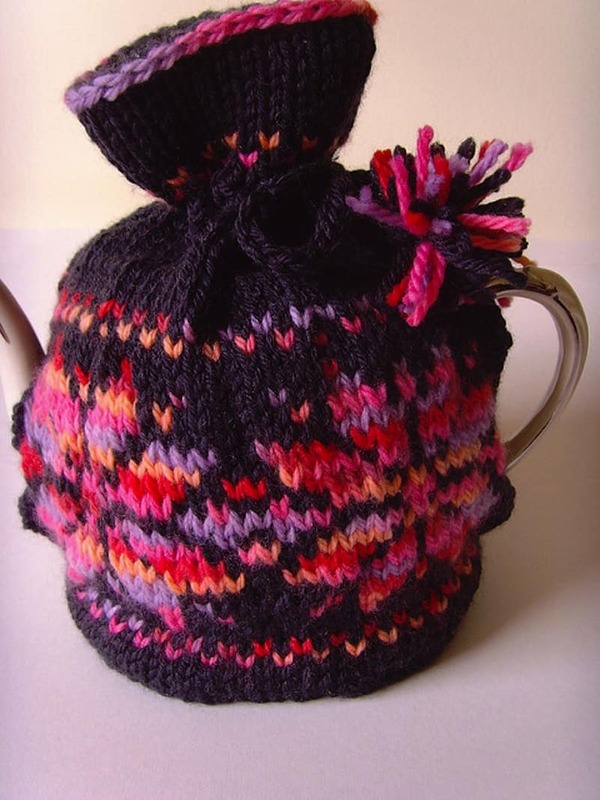 Some people prefer to emphasize colour over texture features and this pattern from Churchmouse Yarns and Teas is great for that. 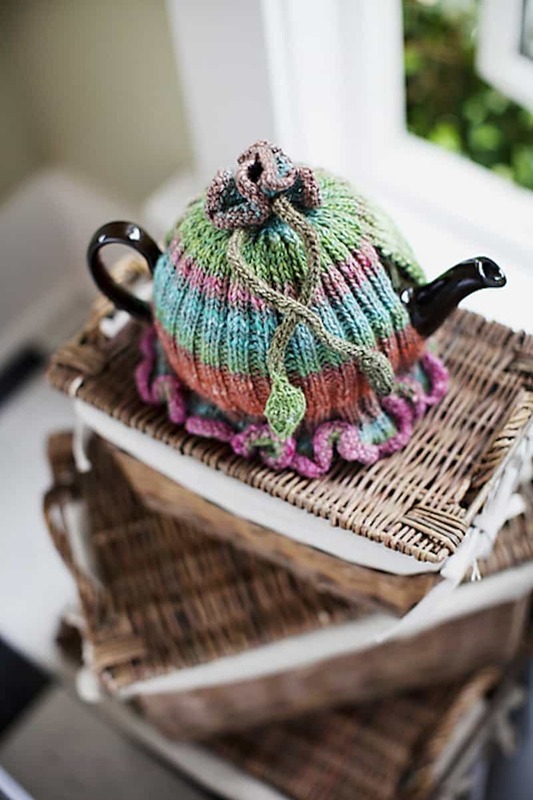 It also, however, keeps things a little more exciting thanks to a ruffled edging along both the top and the bottom, making it look like your tea pot is wearing a fancy little skirt and collar! 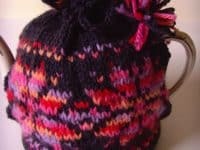 Perhaps you’re looking for a tea cozy pattern that you can give to someone you love to make sure they feel appreciated? Well, few things do that better than gifts featuring hearts! Although this pattern is technically colour work, it’s far easier than some of the other details you’ve seen on this list so far and we have every faith in you that yours will be just as stunning as the one in the picture. See how it’s done on Monica Russel. Have you always loved both owls and simple Fair Isle style colour works in knitted sweaters? 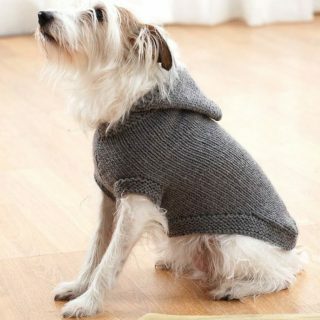 Well, a sweater is a pretty big commitment to take on for that technique if you’re just learning, so you might consider trying a smaller project first until you’ve mastered the stitches and yarn changes. 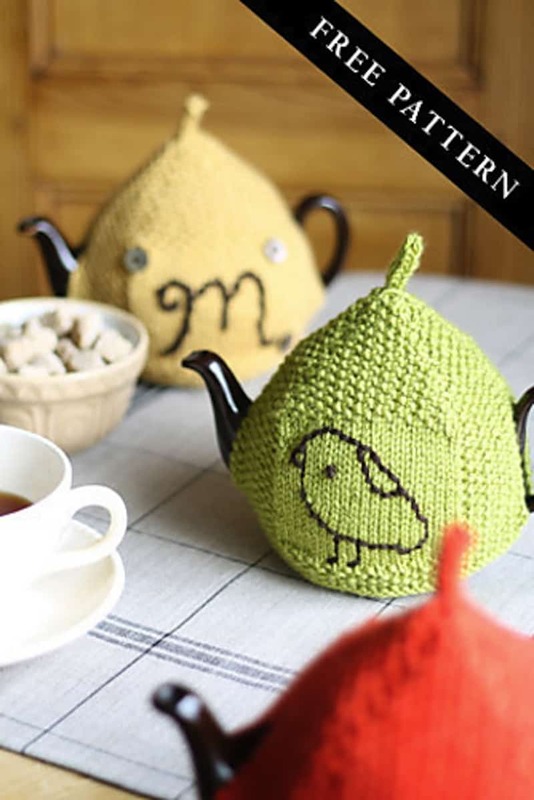 We love this little owl themed tea cozy from K.M. Bedigan for that! It’s the kind of versatile pattern that will look classic if you do it in neutral colours or psychedelic if you do it in wild ones. 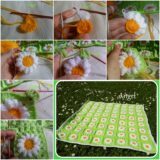 Have you always admired the way crochet projects so easily create little 3D flower motifs and appliques but you don’t actually know how to crochet? 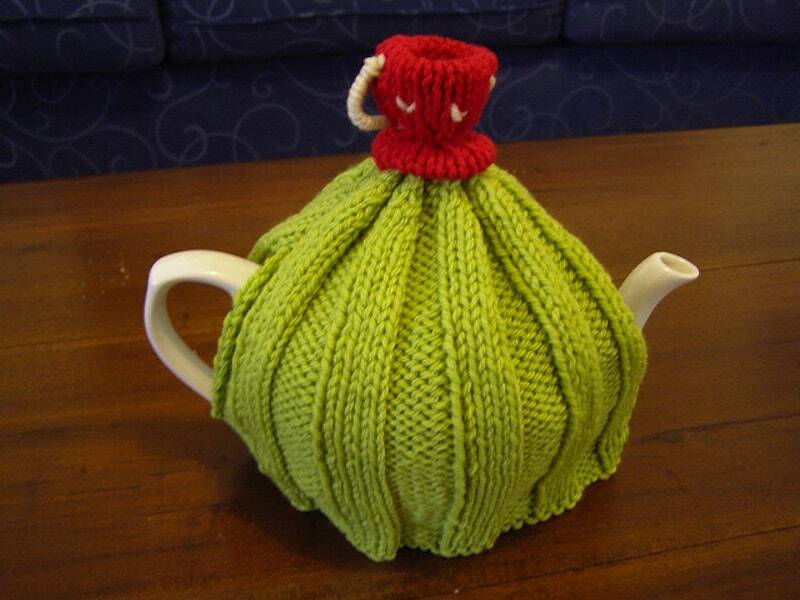 Well, believe it or not, you can create similar shapes with knitting if you construct the stitches right! 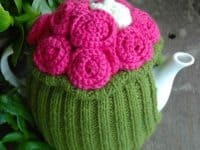 Loani Prior guides you through the process of knitting a simply ribbed tea cozy that’s balanced in its aesthetic by a bushel of stunning knitted roses across the top. 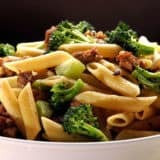 They’re easier than you’d think! 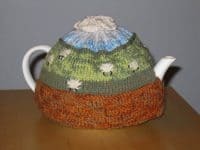 Perhaps you’re looking for a tea cozy that’s got a bit more of a traditional look to it to go with your classic love for tea time and all its quirks? Brightly coloured modern designs are always fun, but sometimes it’s nice to stick to simple vintage looking aesthetics. 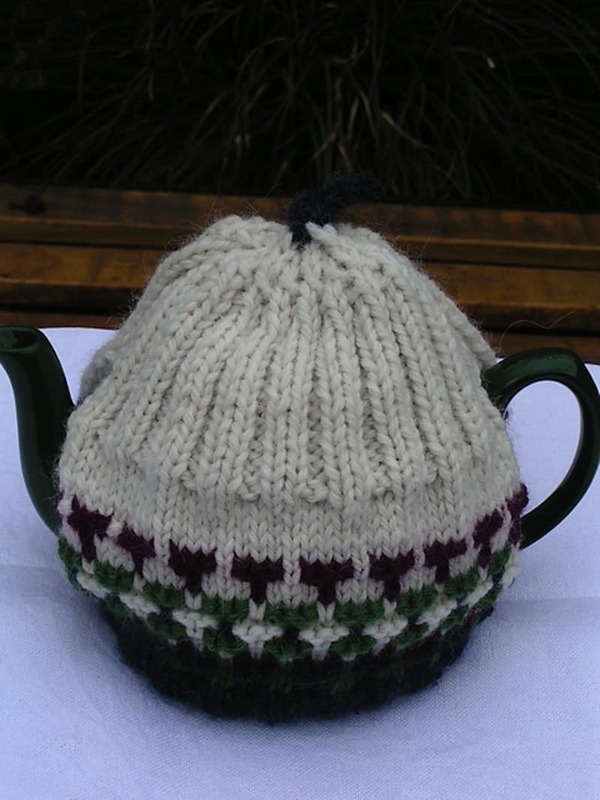 That’s why we liked this classic wool design from Monica Russel so much. 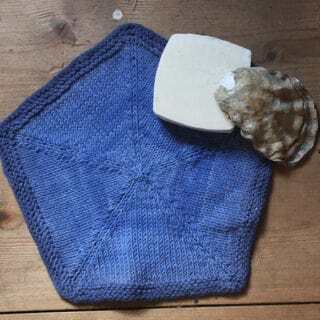 Have you ever seen a knitting pattern with a title that doesn’t seem to relate at first but then, the more you think about it, the more it actually does describe the project itself when you’re finished? 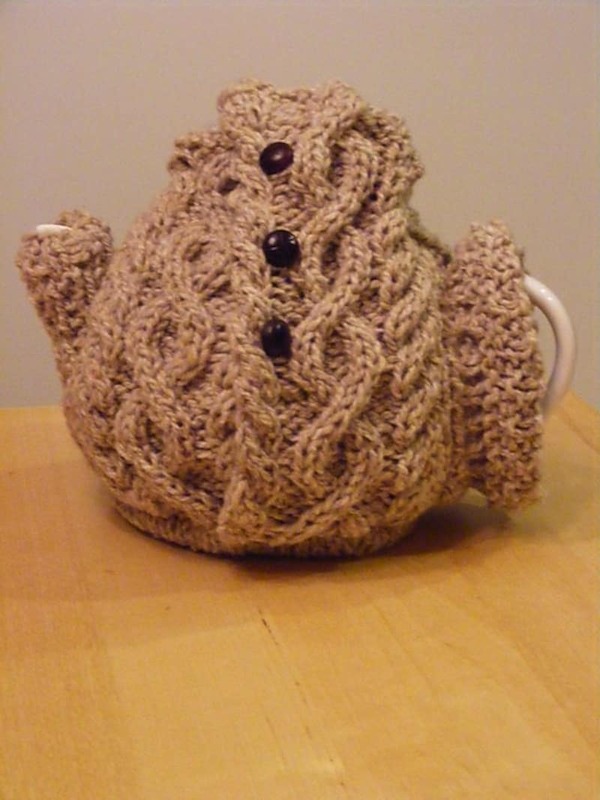 That’s exactly how we feel about this awesome buttoned and cabled tea cozy from Sarah Thornett! 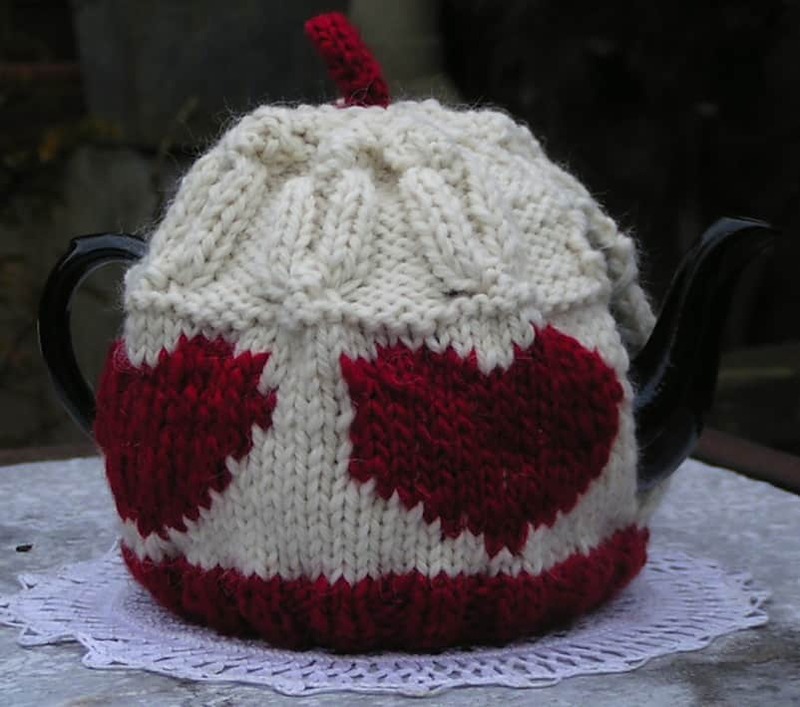 Once it’s put on the teapot, this cozy, which cradles both the handle and the spout in a way that not many other designs do, looks just like the kinds of warm, old sweater you’d curl up in to snuggle with the one you love on a cold night. 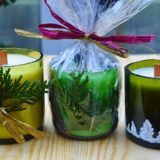 Perhaps your tastes and your favourite design styles are a little more avante garde than some of the more traditional cozy styles you’ve seen on this list so far? Then check out this bright, striped, and geometric design from Loani Prior! 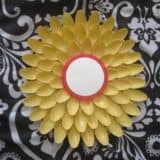 The buttons in each bottom corner and at the top centre help the finished product keep its unconventional construction and let you get creative with shapes. 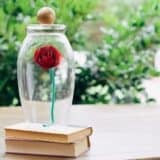 Did you like the idea of a simply ribbed cozy with fun embellishments on top but roses aren’t really your thing or you already know how to make them and would rather learn something new? 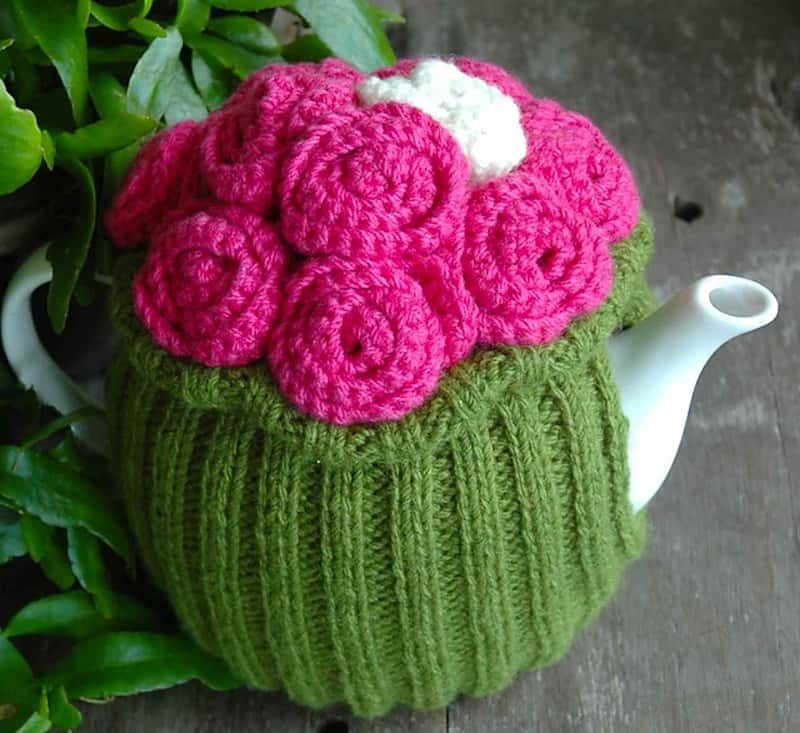 Then check out this adorable little teacup pattern instead! 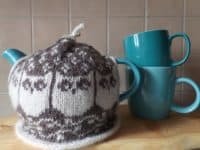 Louise Willie guides you through the process of knitting the cup and saucer onto the top of the cozy and adding the handle and pattern details.